In a tragic accident last Friday in Pakistan, Iranian caver and alpinist Leila Esfandyari, lost her life. She fell while climbing Gasherbrum II (also known as K4), the 13th highest mountain on Earth. An experienced alpinist she had climbed many of Iran’s mountains. She led the first successful Iranian ascent of Nanga Parbat, the 9th highest peak on earth, and made an attempt at K2, but returned due to bad weather. 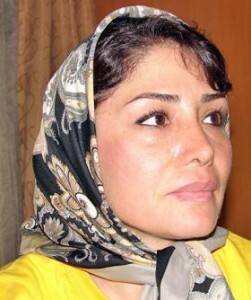 The first female caver who reached the end of Ghar Parau, the deepest cave in Iran at 751 meters (2,464 feet) deep, she had an influential role in the development of modern caving techniques in Iran.